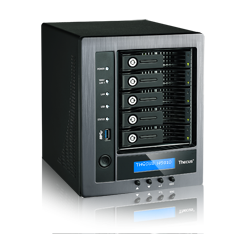 Linux NAS | Thecus N5810 - High Performance, Affordable, Quad-Core NAS with Business Class Features. N5810 High Performance, Affordable, Quad-Core NAS with Business Class Features. 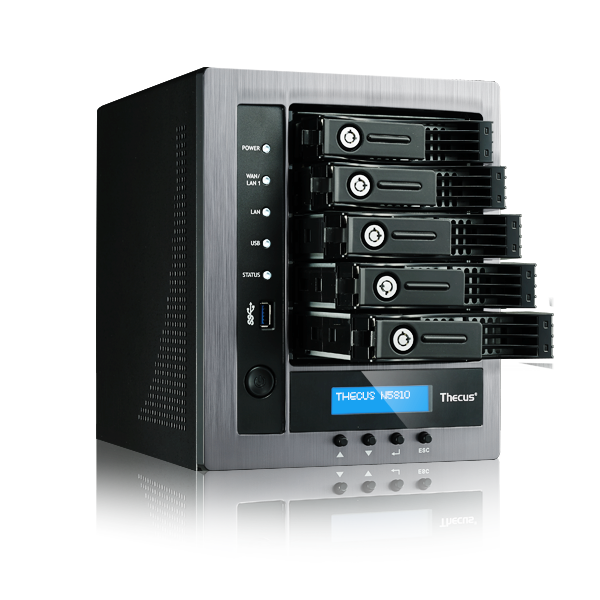 IT administrators can aggregate multiple RAID groups into a large storage pool to flexibly utilize their entire storage capacity as a whole, all the while improving data redundancy protected with data redundancy and allowing better data protection against multiple disks failure concurrently for large capacity environment. Thecus OS also allows for the creation of multiple volumes in the Storage Pool, improving customizability for various applications in typical business environments with diverse workgroups. 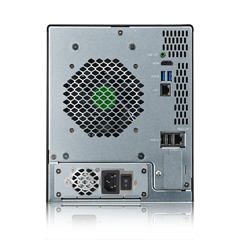 Thecus's AES 256-bit RAID volume encryption tool allows users to fully encrypt their entire RAID volume, defending essential data even in instances of theft. 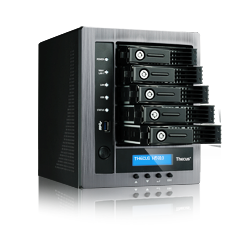 RAID level migration allows RAID volumes to be easily moved from one NAS to another. And RAID expansion allows you to increase the size of your RAID volume by the gradual replacement of older drives with larger ones. 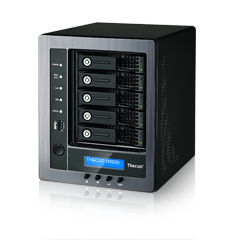 Thecus brings the best to the table with Acronis's advanced backup software. Back up all your data with One-click Protection or pick and choose only your most important files. Acronis sports a slick interface, user-friendly design, and comprehensive features to keep your data safe. This innovative backup feature allows users to back up files instantly to their NAS, external hard drive, or remote NAS. RTRR saves you time as it is able to back up data immediately and automatically. We’re a mobile society, and our NAS solutions are keeping up! Incorporated into Thecus NAS is support for Thecus’s T-OnTheGo™ smartphone app. Supporting both iOS and Android, this NAS management software enables users to access, copy, stream, and edit any data between their NAS and mobile device. Your own personal cloud, available from anywhere with internet access. Enable easy access to your NAS with Dynamic DNS. DDNS allows users to allocate and access their NAS files via the internet remotely. When the IP address is changed, the DDNS server will automatically adjust your address to make sure that remote access is always available. In short, DDNS provides convenient remote access to your Thecus NAS possible by utilizing domain names instead of IP digits. 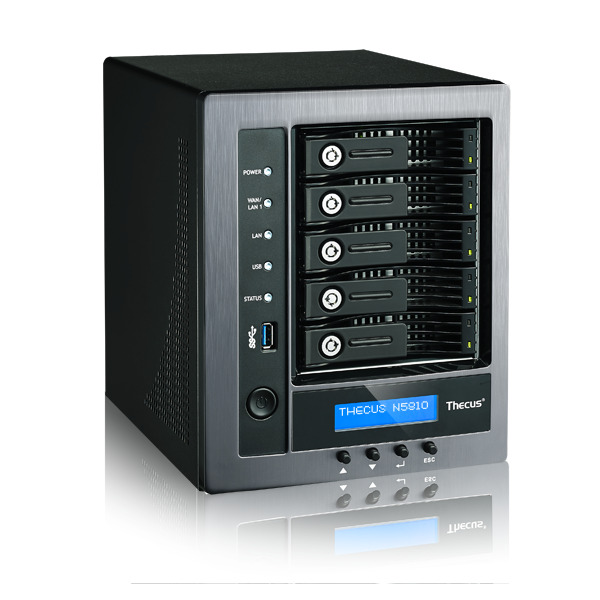 Transform your NAS into the ultimate multimedia hub! 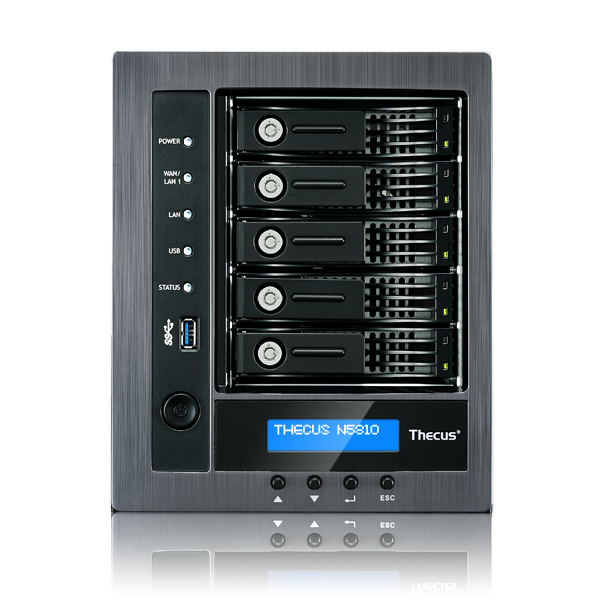 Thecus® NAS integrated HDMI output allows you to connect your NAS directly to your TV for direct device management and multimedia playback. With the Plex Media Server installed on your Thecus® NAS, various devices on your network (such as your Xbox 360 and mobile devices) can connect to and stream your local and online media. The server can also automatically assemble iTunes, iPhoto, and Aperture content. From your favorite videos to your mountains of music, Plex makes it easy to manage and enjoy all of your media on your Thecus NAS. Thecus NAS allow you to have your very own entertainment hub wherever you go. With TV streaming support and mobile apps, you can share all your favorite photos, music, and videos. Thecus ha appena annunciato il lancio del suo ultimo NAS a 5 dischi, il N5810, che offre prestazioni ottimizzate e un'avanzata serie di funzioni sia per uso domestico che aziendale. 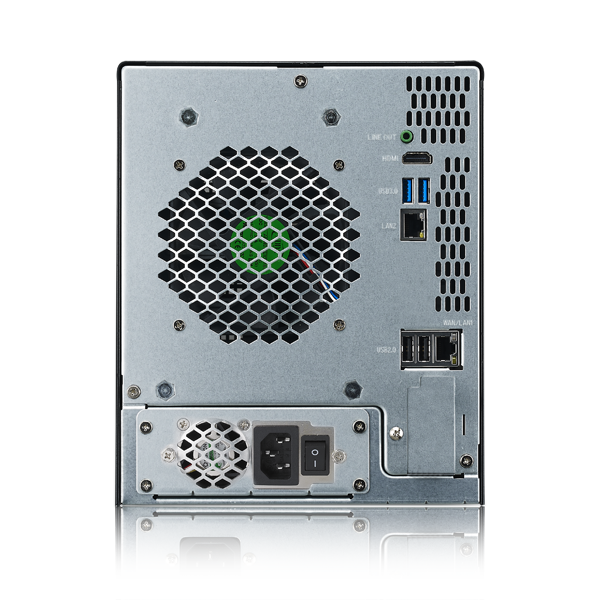 Il N5810 è equipaggiato con un processore Intel Celeron J1900 Quad Core a 2.0 GHz SoC e di 4 GB di RAM DDR, espandibile fino a 8GB per prestazioni ancora più avanzate. Il N5810 è una soluzione di immagazzinamento dati in rete avanzata e allo stesso tempo conveniente, e può vantare una velocità di lettura fino a 213 mb/s e 186 di scrittura, e porte LAN a 2 Gigabit. Il N5810 supporta 7 modalità di link aggregation e System Failover, creazione dati, network e ridondanza, minimizzando le interruzioni nel flusso di lavoro e aumentando l'efficienza operativa. Per rispondere alla crescente domanda di un sistema di immagazzinamento dati efficiente per l'ambiente aziendale, il N5810 è dotato delle applicazioni essenziali per l'uso aziendale, tra cui VMware®, Citrix®, e Microsoft Hyper-V®; supporto multipiattaforma per utenti MAC®, Windows®, e Linux/UNIX; Windows AP e LDAP per autorizzazione utente; con Acronis inclusi, oltre ad una suoluzione completa per il backup che comprende Snapshot via Btrfs per backup in tempo reale, replicazione remota in tempo reale, backup cloud su ElephantDrive, Dropbox, Amazon S3. Il N5810 è dotato del sistema operativo Thecus OS5, facile ed intuitivo. La nuova versione del sofware è dotata di Server VPN per garantirti un accesso sicuro da remoto, e di Disk Clone e Wipe per una gestione ottimale dei dati. Gli utenti potranno anche avvalersi di un'ampia gamma di funzioni pensate per l'intrattenimento, grazie all'uscita HDMI e a Kodi, per la riproduzione di contenuti multimediali e per l'accesso mobile, grazie alla potente app di Thecus, T-OnTheGo.